Christians around the world are preparing to celebrate Christmas, the annual celebration of the birth of Jesus Christ. 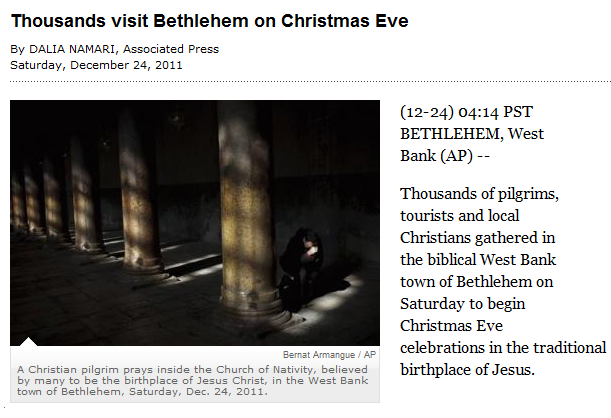 The San Francisco Chronicle reports that many are visiting Bethlehem this Christmas Eve; around the world many are preparing for their many commercial, cultural, and religious traditions. Merry Christmas to all who celebrate around the world!